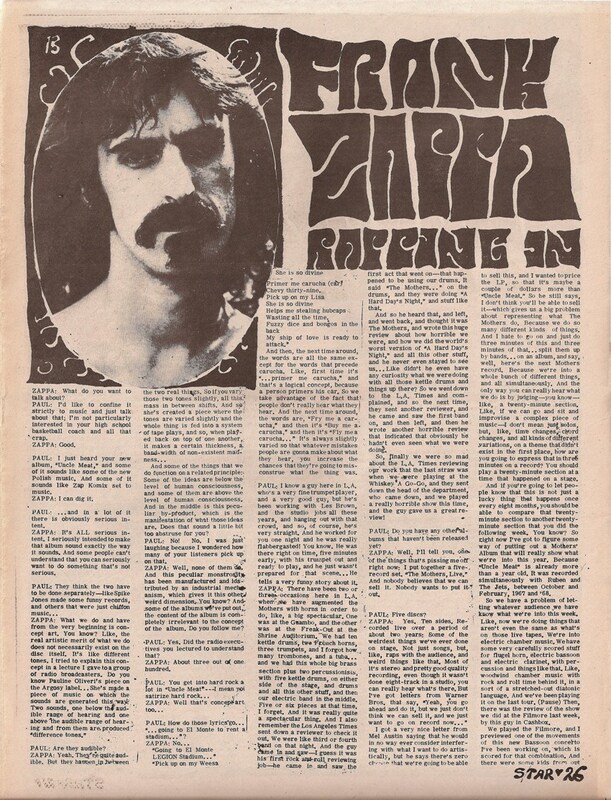 ZAPPA: What do you want to talk about? PAUL: I'd like to confine it strictly to music and just talk about that; I'm not particularly interested in your high school basketball coach and all that crap. 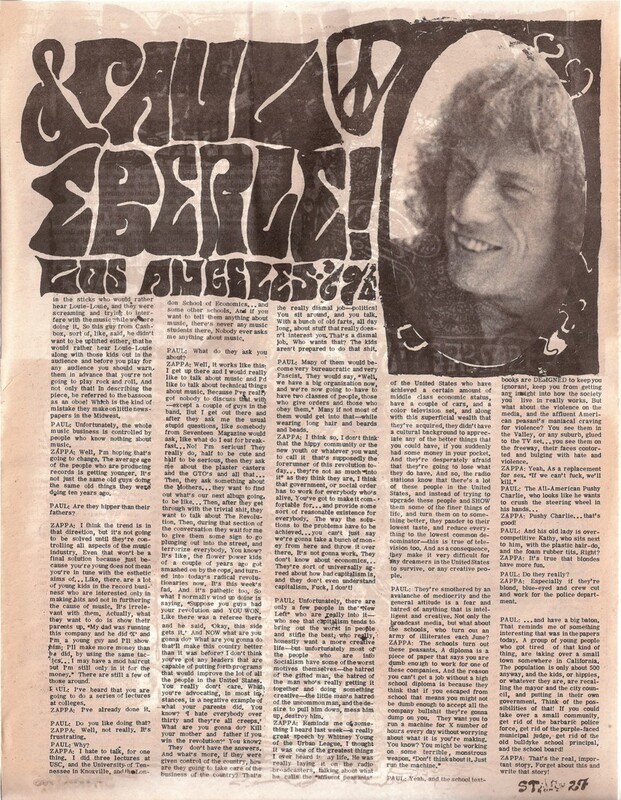 The same interview was also published in Los Angeles Free Press.